In 2012, in response to the continued state of emergency Gaza’s healthcare finds itself in five years into the imposed blockade on Gaza, Cycling4Gaza focussed on supporting healthcare in the Gaza Strip. Marking 2012 as the 25 year anniversary of MAP’s work in Lebanon’s Palestinian refugee camps, we also supported a critical healthcare project run by MAP in the camps of Lebanon. Project Objective: to build Palestinian doctors’ capacity to save lives by responding to trauma and injury, especially in conditions of large-scale emergency. In the aftermath of a severe injury caused by bomb blasts, military artillery or road accidents, time is crucial. In the high risk environment of Gaza, the incidence and risk of such injuries is particularly high due to the on-going occupation, frequent military conflict and isolation of much of the population from hospital emergency services. Rapid access to trained emergency staff is essential if lives are to be saved, yet there are few trained injury care staff in Gaza with specialist knowledge of trauma management. There is therefore an urgent need to train health professionals in Gaza so that they can respond quickly in emergencies to stabilise serious injuries and save lives. In partnership with the Primary Trauma Care Foundation, MAP UK have developed a PTC course to train front-line health workers in Gaza in how to identify and treat patients requiring rapid assessment, resuscitation and stabilisation. Since October 2012, 74 doctors, nurses and medical interns have benefited from these courses, receiving training in burns, shock, head, chest and spinal injuries, with a particular focus on the injuries of children and pregnant women. Participating hospital staff received further training in becoming PTC instructors, meaning that they can now themselves train other doctors and nurses in these practices, to ensure that the hospitals of Gaza are equipped to deal with complex casualties. MAP has played an active role in translating the PTC manual and an instructor’s manual into Arabic so that they can be used by over 40 instructors and 125 health practitioners. We are also supporting the development of a non-medical version for local communities, following the same core life-saving principles. Through this, MAP UK hope to empower high risk communities and enable them to respond effectively in crises. Finally, MAP’s pre-positioning of PTC equipment in isolated centres helps facilitate a fast response to emergency crises. It is estimated that over 1,274 individuals across both the West Bank and Gaza have directly benefited from this training since the project began in June 2009, in addition to countless indirect beneficiaries. Project Objective: to provide good healthcare for expectant and delivering mothers and their new-borns. 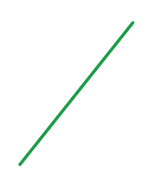 This project began this year and will run until the end of 2015. Its work contributes to a sustainable improvement in the health of women and children in Gaza City and Abassan, by establishing for greater access for the local population to affordable and high-quality antenatal, safe delivery and postnatal care. By taking a multi-faceted approach, we aim to ultimately create systemic change within healthcare services in Gaza. For this project, MAP has partnered with the Red Crescent Society in Gaza (RCS – Gaza), whose capacity we are helping to develop. The project’s activities come under two main areas: the provision of services and the training and support of health staff. In terms of providing medical services directly, we offer regular health checks and provide antenatal and postnatal care for 1,500 women and children every month. The project also procured the required medicines, disposables and equipment, many of which are lacking in Gaza. Through MAP’s work with RCS – Gaza, we recently procured two haemoglobin test machines, 3 weighing scales for children and 3,500 test strips. The RCS – Gaza has recruited 27 staff to work directly on this project, including nurses, pharmacists and paediatricians. In order to ensure that the impact is sustainable, MAP UK included training and education as an integral part of this project’s work. After assessing the needs of the healthcare staff, training was provided in the areas of Maternal and Child Health. Information sessions were also organised among local communities, and materials were distributed providing essential key information about MCH needs and services. A more long-term objective is to coordinate the integration of health services and education in these areas. To this end, MAP UK hold regular meetings with the RCS – Gaza, discussing ways to integrate health care services in Gaza. MAP UK also constantly meet with the UN Relief and Works Agency for Palestine Refugees in the Near East (UNRWA), the Ministry of Health and other key stakeholders to explore opportunities for better coordination of services. It is estimated that a total of 5,368 Palestinian patients have benefited from this project in 2013. They have received a range of services including ante and post-natal care, family planning and paediatrics. Still more people have benefited from training and support in their work as health professionals. 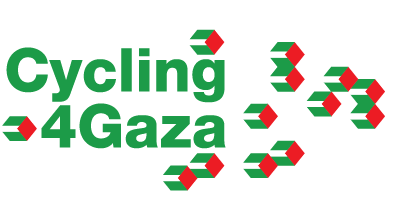 Acknowledging the lack of international attention on Palestinians in refuge, in 2012 Cycling4Gaza will also support critical work in the Palestinian refugee camps of Lebanon. Palestinian refugees in Lebanon, who have resided in the country for over 60 years since being forced to leave Palestine in 1948, are largely marginalised from society, have no social or civil rights and no access to education and healthcare. The 12 refugee camps around Lebanon are home to over 450,000 Palestinians. The 2007 conflict in Lebanon left over 20,000 people from Nahr El Bared, the second largest refugee camp in the country, homeless and seeking refuge in the neighbouring Baddawi camp and other areas in Lebanon. The reconstruction was promised to be immediate. To date, less than a quarter of the displaced families have returned to the camp in its partial reconstruction while others await their return. MAP’s maternal and child health program started as a response to the critical conditions of mothers and newborns after the 2007 attacks who had been forced into cramped living conditions and faced with malnutrition. A high percentage of pregnant women suffer from conditions that are avoidable and easy to treat, but that left untreated before childbirth can expose them to haemorrhage and, in extreme cases, death. The incidents of anaemia among children below three years old, have reached, in some camps, a rate of 80%. This can have serious effects on a child’s physical and mental development. Within the Palestinian refugee community in Lebanon are refugees who remain unaccounted for by governments or even the UNRWA (Forced Migration Online). Those refugees in particular face dire conditions and lack any institutional support. MAP’s program includes the support of mothers and newborns with no papers living at the peripheries of the mentioned refugee camps. To date, the MAP midwives have conducted 19,303 home visits, with an additional 3,400 home visits made by the community mothers. In 2012, MAP UK’s outreach team supported over 3,300 women and babies through pregnancy, birth and early infancy. This year, 5% of beneficiaries are refugees escaping Syria. The MCH project has an active caseload of 1,300, working out at about 99 cases per midwife. Each midwife carries out around 5 or 6 visits a day, with each visit typically lasting between 30 minutes and 1 hour. The project has seen a year-on-year improvement in the camps in the number of high-risk pregnancies, due to measures addressing high rates of anaemia and pregnancy-related infections. MAP midwives have also successfully raised awareness of birth spacing by providing information about the health benefits of the practice, and more people are now reporting that they want to use family planning. Moreover, the midwives provide nutritional information to help decrease the high rate of urinary-tract infections, and work on trying to prevent post-natal depression. In September 2012, Dr May Haddad carried out a thorough independent evaluation of the MCH project, which she described as ‘outstanding’. Dr Haddad reported that the midwives are achieving tangible outcomes: “This project has lots of passion in it. Somehow, it has magically touched almost every person who has been involved in it… This project has features like no other project among refugee Palestinians and Lebanese in Lebanon… [so we can] extrapolate the lessons learnt.” Her evaluation also highlighted the uniqueness of MAP’s model in bringing clinic-based services and psychosocial support into mothers’ homes. The project has also received positive feedback from the beneficiaries; a recent satisfaction survey found that the community strongly supports the project, with 79% of mothers rating it as Successful or Highly Successful.